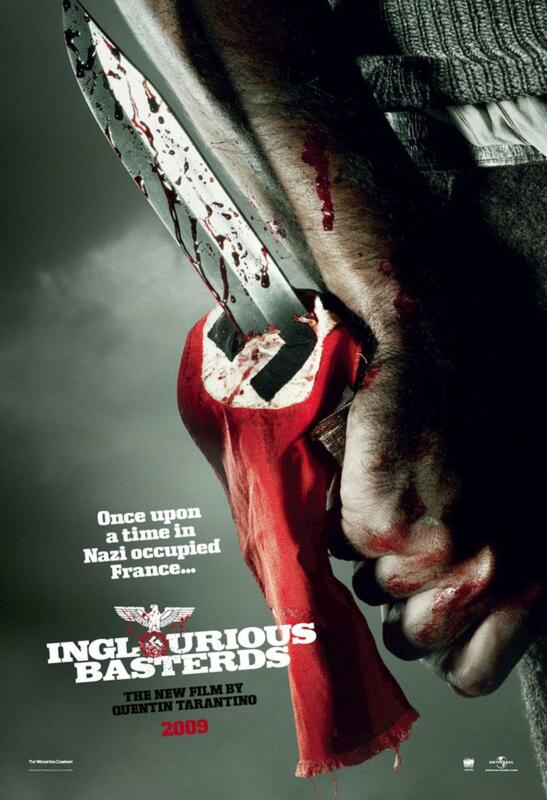 Inglourious Basterds (2009) was described by its creator, Quentin Tarantino, as “a spaghetti western but with World War II iconography.” It is a fantasy about a group of Jewish American soldiers “The Basterds”) who travel around occupied France hunting down, killing, and scalping Nazis. The film opened to an enthusiastic box-office and mixed critical reviews. This entry was posted in United States and tagged Alternate history, Anti-Semitism, Comedy, Drama, Holocaust. Bookmark the permalink.